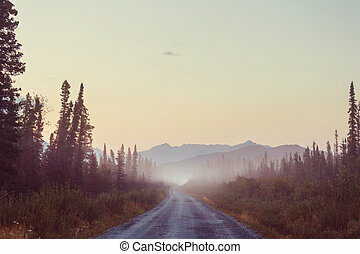 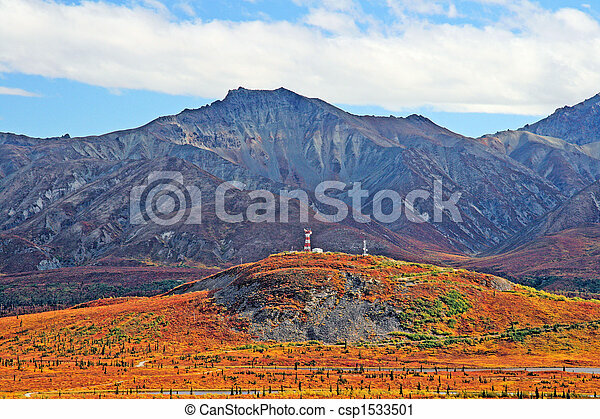 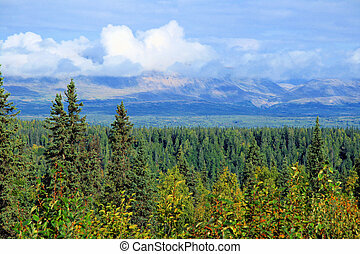 Alaskan vista. 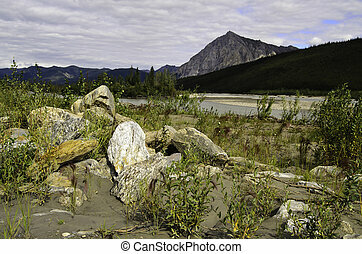 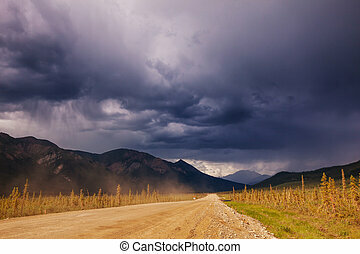 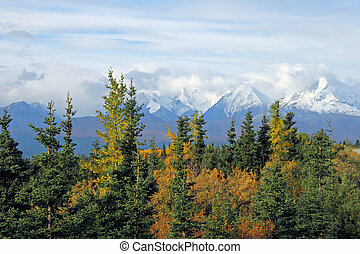 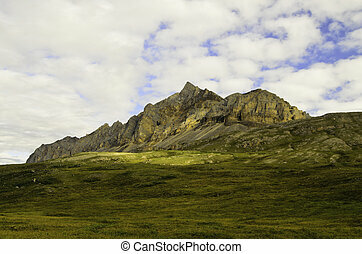 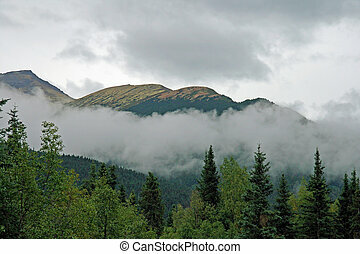 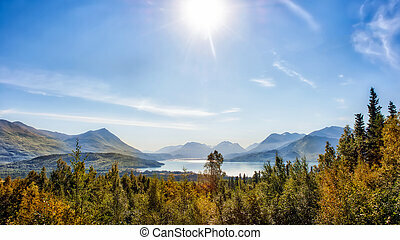 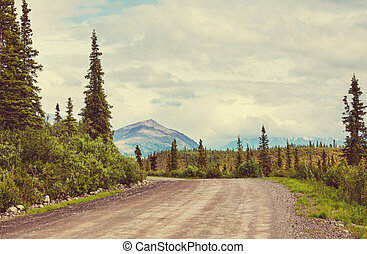 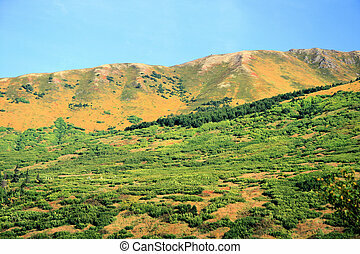 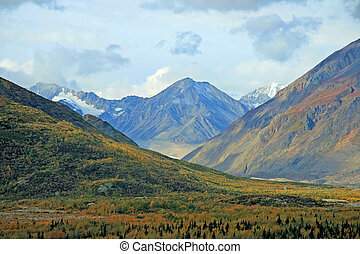 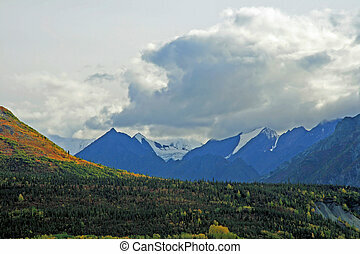 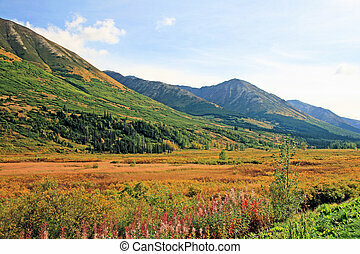 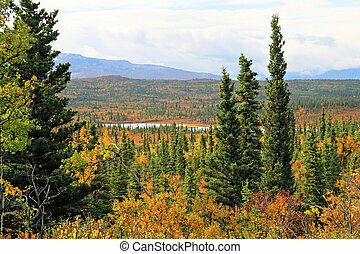 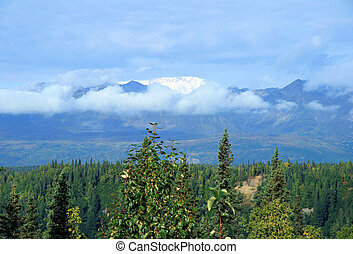 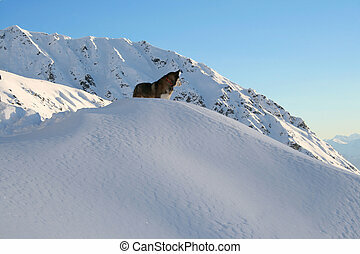 Forest and mountains cover the alaskan wilderness. 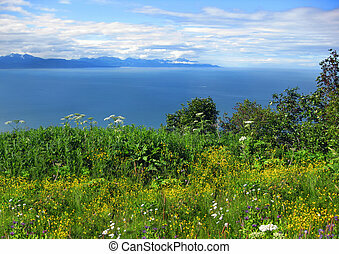 Wildflowers bloom along the shore of Cook Inlet. 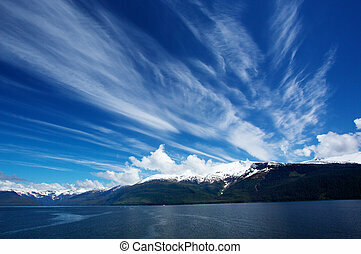 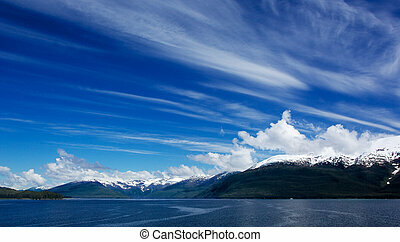 Aleutian Mountains and blue water sit under a blue sky and clouds. 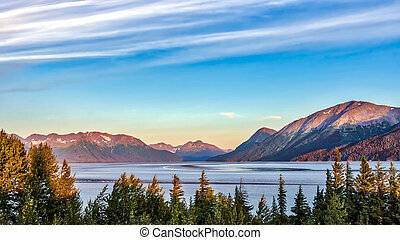 Traveler hauls his boat through the Alaskan wilderness. 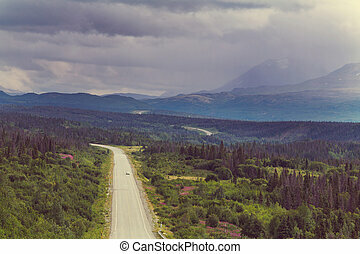 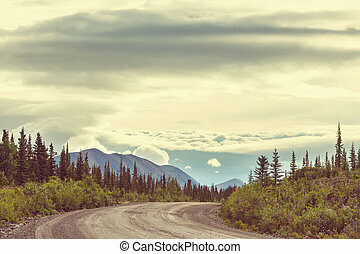 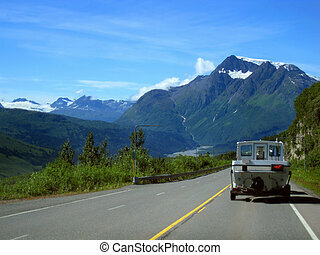 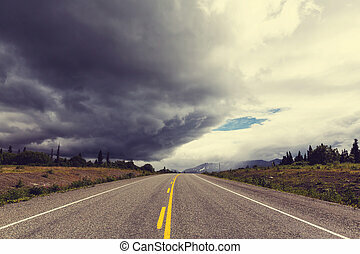 Highway leads toward a huge glacier covered mountain in the Chugach Mountain Range.